McDonald's Corporation began in the year 1940 and had been opened by brothers - Maurice and Richard Donald. They opened it as a barbecue restaurant and later on, in 1948, they reshuffled it into hamburger production line. Today, it is the largest series of hamburger fast food restaurants in the world. In 1955, Ray Kroc, a businessman, joined this restaurant as franchise agent and had purchased it from McDonald brothers. Presently, the restaurant has more than 34,000 branches serving nearly 68 million customers across 119 countries. Mr. Andrew J. Mckenna is serving as chairperson and Mr. Don Thompson is both CEO and president of the organization. There are currently 1 consumer reviews about Mcdonalds available. Share your review. The food at the McDonald In Lebanon Kentucky is great, but the managing situation is horrible, they have a manager in their and her name is Linda Litsey and she is really rude to the employee their are numerous time I've walked into that restaurant and she is yelling and saying nasty smart remarks to the employee.also people have told Steve and other high up managers and yet nothing has been done if you look at the hiring rate they hire everyday ,because people are living due to Linda Litsey.They say it does no good to tell Steve Schwartz because he doesn't want to hire another manager,but you have to realize that the kids are someones kids as well. no I'm not saying baby these kids but you have to give respect to get respect. and also when they put the schedule out the kids look at the schedule double check the schedule and if they see that they don't have to work well the next day Linda Litsey pencil them in without the kids knowing it and then tells them that they were a no show no call that by far is wrong for anyone if someone doesn't come in and check this place and the managing place out then someone will happen to walk in on her while taking orders and record her been nasty toward those kids and will sew them, because noone should have to be treated like this for no reason.of course the other managers are going to say theirs nothing going on but I assure that I can get alot of kids and adults to say differently.Something needs to been done to show this woman that she can't do this .yet she lets her daughter off when she has doctors apointments, even though shes on the schedule-but let an employee do it she will cut their hours. I also been wittiness to kids not been schedule when she wants them to be so then she cuts their hires that's not been very professional I think someone needs to retrain her. 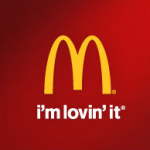 Please take a note that you are about to post a public review about Mcdonalds corporate office on CorporateOffice.com. This review will be public, so please do not post any of your personal information on this website. If you would like to contact the corporate offices of Mcdonalds, please use their contact information such as their phone number, website, and address listed above to contact them. However, sometimes staff from Mcdonalds headquarters do read the reviews on this website.